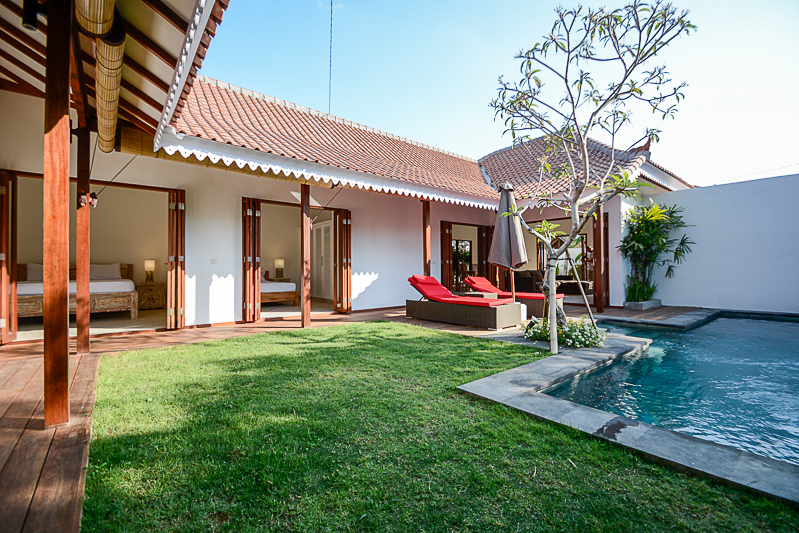 This beautiful & gorgeous brand new real estate is located in a peaceful & secure neighborhood of Canggu. 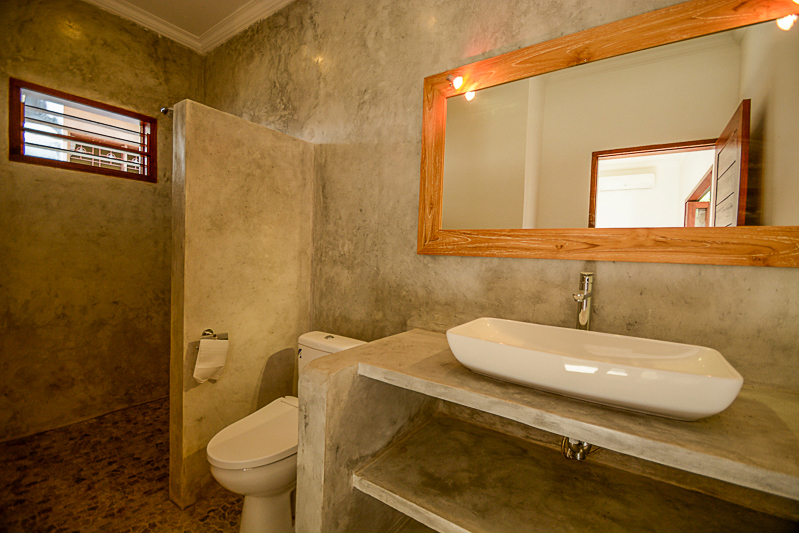 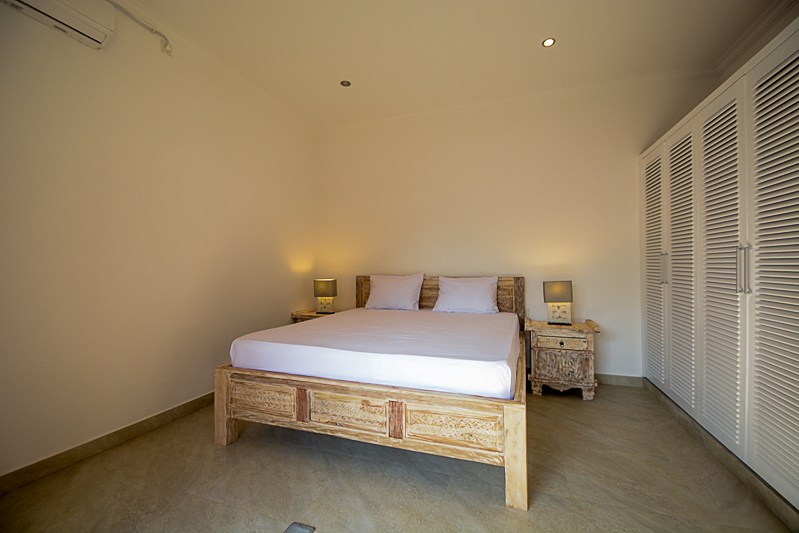 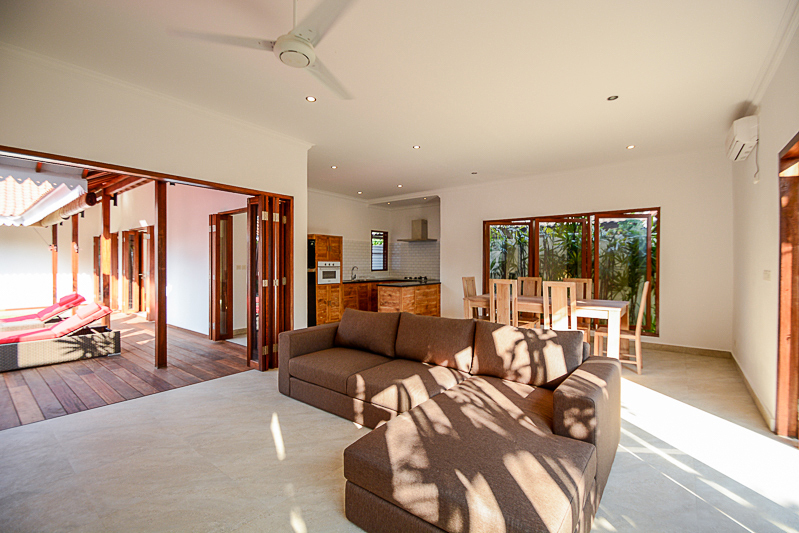 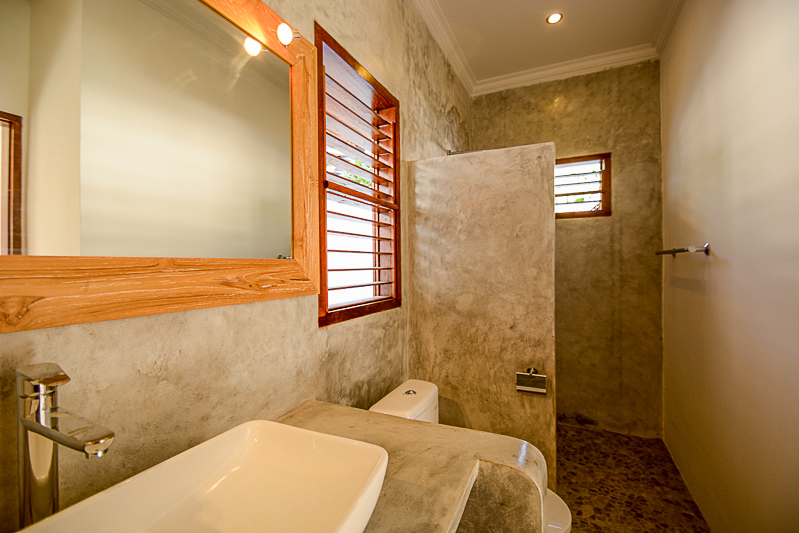 This villa features 3 en-suite bedrooms & 4 state of the art bathrooms. 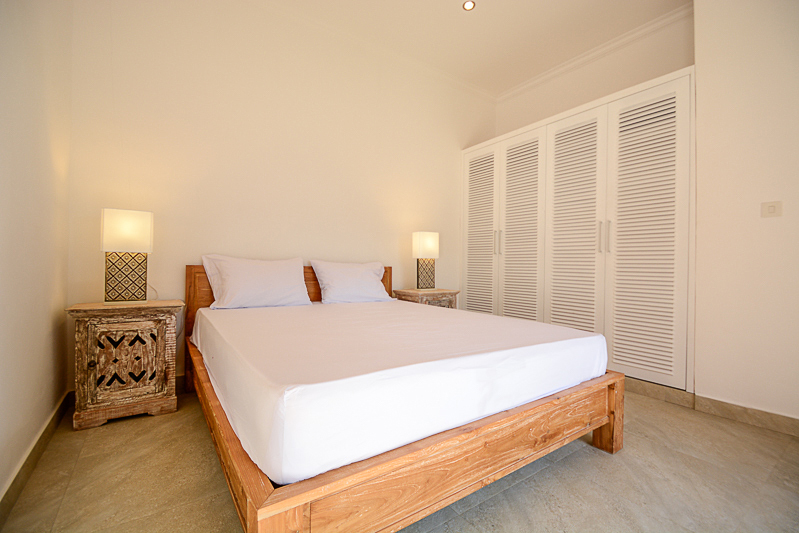 It is fully furnished & decorated with finest quality furniture & interior. 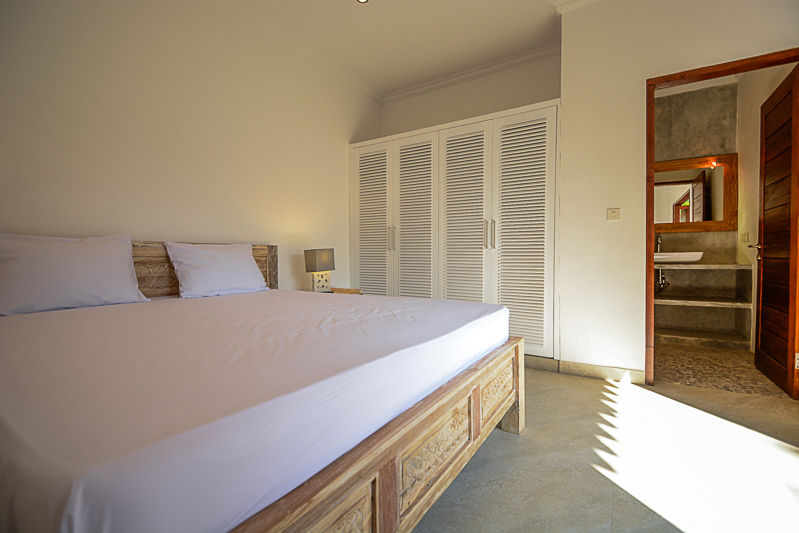 Owners have ensured finest quality living standards which provides you the perfect combination of comfort & luxury with style. 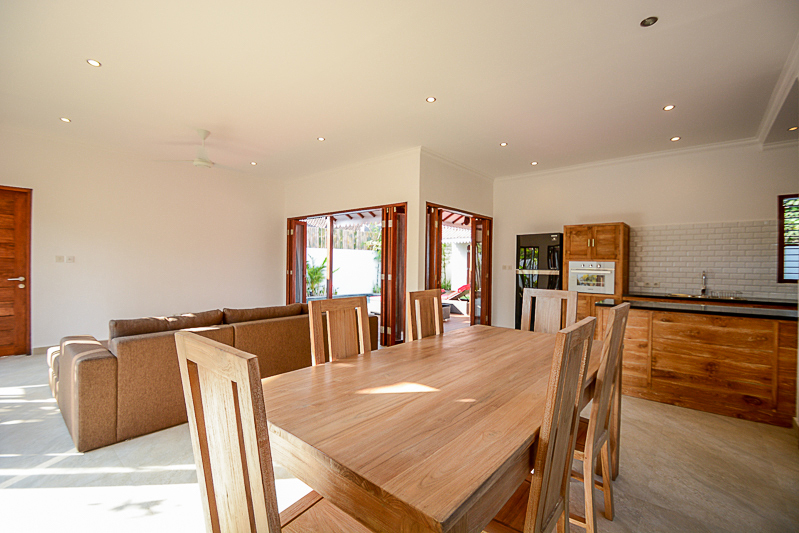 This property generously offers comfortable Air Conditioning , spacious living room , comfortable dining room , modern kitchen , beautiful lush green garden , 8 x 3 m of swimming pool , separate space for storage , water sorce from well , electricity 3.300 W , internet facility throughout the house , phone line and a secure parking area. 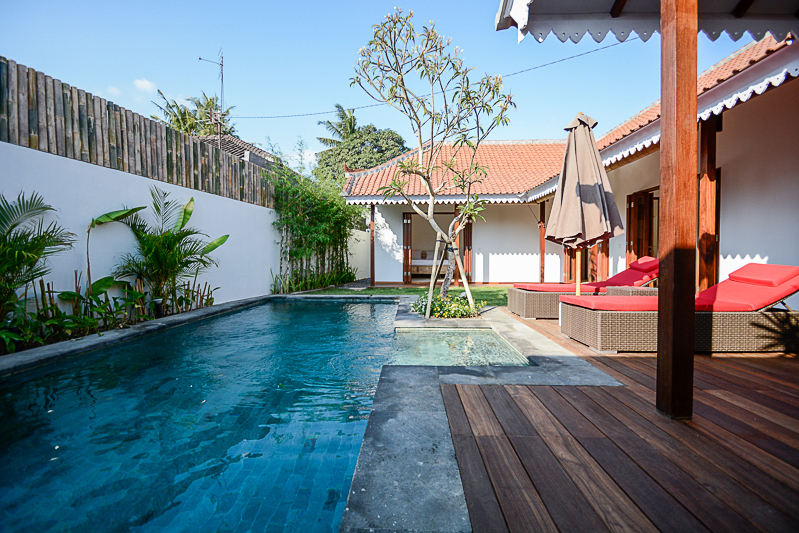 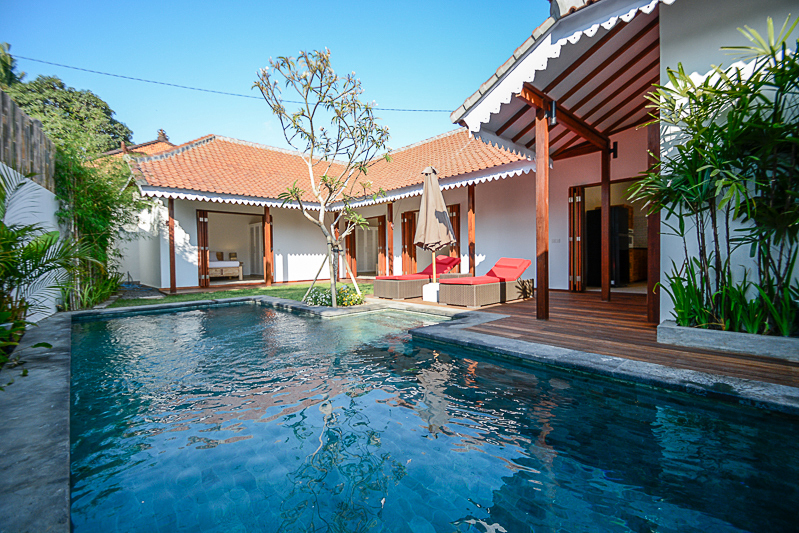 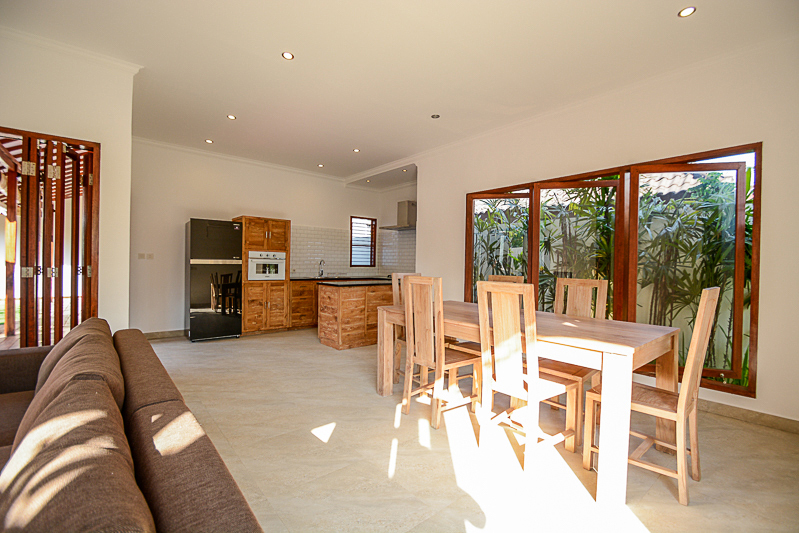 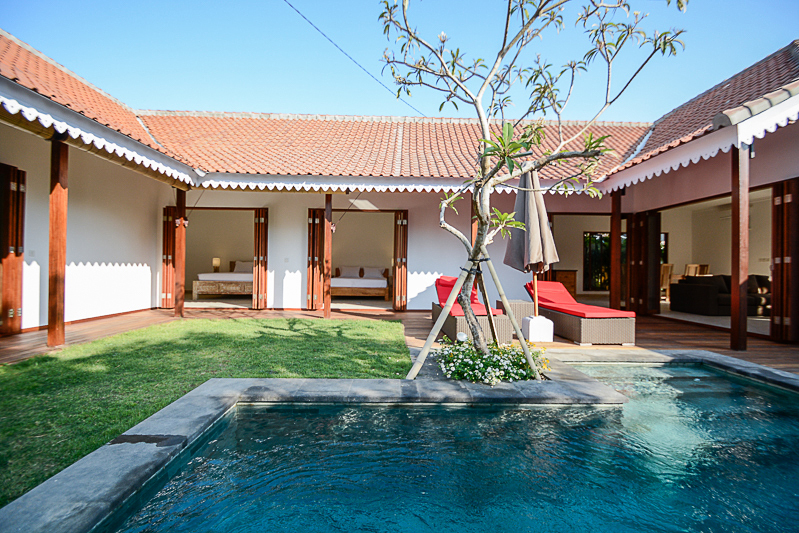 This is a great vacation home located in a central prime location of Bali. 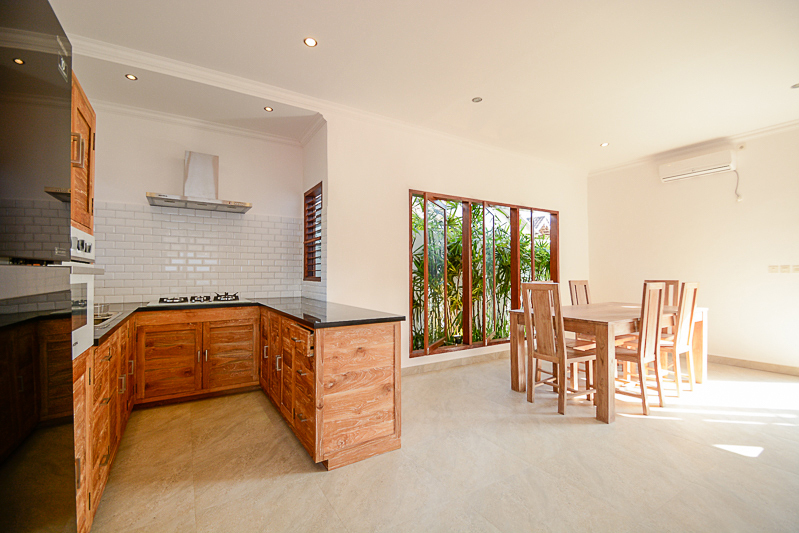 A great opportunity for investors to buy the most ideal deal which gives you easy & minutes away access to the market, 8 minutes from the beach and 35 minutes from the airport. 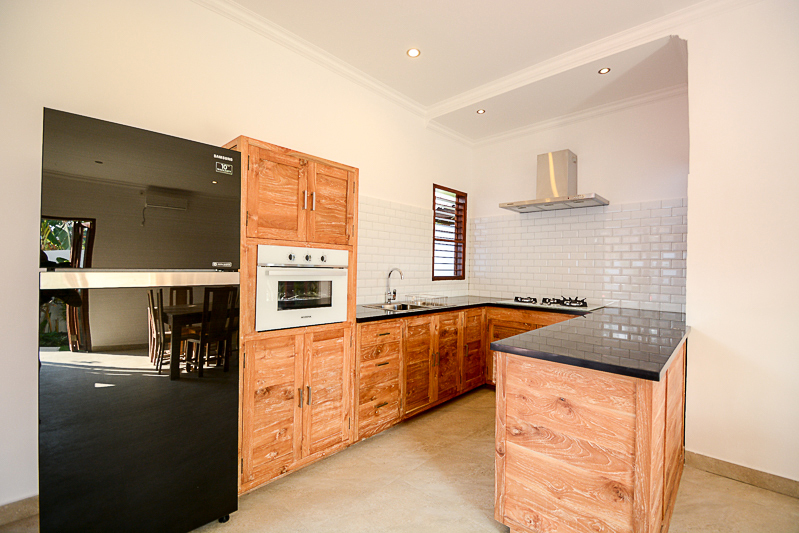 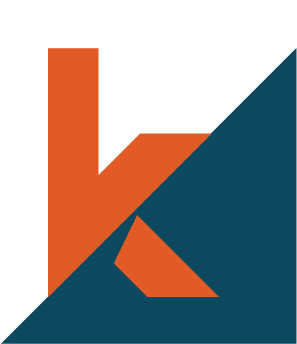 Available on leasehold for 24 years.